Ronald Acuna wins the NL MVP and ends the year the no.1 hitter in fantasy. Maybe not such a tall order for a first/second round draft pick. Acuna is scheduled to bat cleanup for the Braves and hitting behind Josh Donaldson and Freddie Freeman will offer up plenty of RBIs. Brian Snitker also said he can run as often as he wants so after last year’s star showing as a rookie, this year could end up being Troutian, Troutesque, Trouterrific etc. 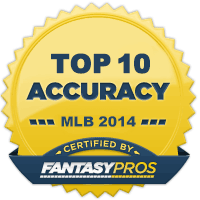 The Marlins end the year with five starting pitchers ranked inside the top-80 in fantasy. Considering Jose Urena was the only one to do so last year, this is bolder than you might realise. Trevor Richards and Caleb Smith are both in that trendy sleeper category while Sandy Alcantara and Pablo Lopez also offer some intrigue and upside. This looks like the first step forward for the Marlins and their rotation might surprise you somewhat. Pete Alonso leads the National League in homers. He’s made the opening day roster and is by far the best option at first base the Mets have. If they’re serious about competing this year, Alonso needs to start the season as the Mets first baseman and if he carries his Spring over to the regular season, expect fireworks. Nick Pivetta has a sub 3.50 ERA, 200 Ks and 18 wins. Another favourite of mine this year, Pivetta was considerably unlucky last year so providing lady luck is smiling upon him, he could end up being part of an all-star one-two punch with Aaron Nola. Patrick Corbin wins the NL CY Young. I don’t believe last year’s huge breakout was a fluke. In fact, the numbers suggest there could be even more to come this year and if there is, the award will go to a Nationals pitcher. Just not the one you might expect. The Cubs end the year with a sub-.500 record and no one ends the year as a top 50 fantasy player. If ever a team had under the radar question marks heading into the season, it’s the Cubs. Kris Bryant and Anthony Rizzo are coming off of down years, the bullpen isn’t healthy, the rotation is solid if unspectacular and last years’ star Javier Baez could revert back to his swing and miss status people starting to get used to seeing. My love affair with Yasiel Puig is continuing and he ends the year as a top-5 fantasy outfielder. He hit 23 homers and stole 15 bases despite only playing 125 games last year. 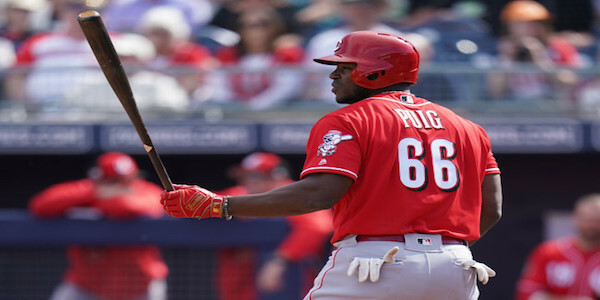 If he is the Reds’ everyday right fielder (which he should be), Puig could reach 30 homers and 20 steals in a much better hitters park and likely hitting in the top half of a lineup containing Joey Votto and Eugenio Suarez to boost them counting stats too. Yasmani Grandal hits 30 homers and ends the year as the no.1 catcher in fantasy. Grandal has averaged 24 homers across the last three years and now plays in one of the best hitters’ parks in the league. As a switch hitter, platoons shouldn’t really come into effect so with the large portion of games behind the plate, Grandal could really give the Brewers bang for their bucks. Jung-ho Kang hits 30 homers and ends the year as a top-5 third baseman. If the off-field issues are a thing of the past and Kang can stay on the field all season, he should be owned in all leagues as a late power source. Currently owned in around 10% of leagues, Kang’s ownership will reach 50% before the end of April and there’s also a distinct possibility he gets shortstop eligibility too. His power this Spring has been a reminder of why the Pirates signed him out of the KBO, where he hit 40 homers in his final season. Paul DeJong hits 30 homers and ends the year as a top-5 fantasy shortstop. Similarly to Kang, the power seems to have been forgotten. DeJong hit 25 in 2017 despite playing just 108 games after his call-up to the Cardinals. He started and finished 2018 well (17 of his 19 homers came in the first and last months of the season) and the fractured hand he suffered contributed to his overall numbers. He hits enough flyballs to reach 30 homers before the season ends. Luke Weaver ends the year as a top-25 starting pitcher. Last year was a bust after Weaver was overhyped in fantasy drafts. 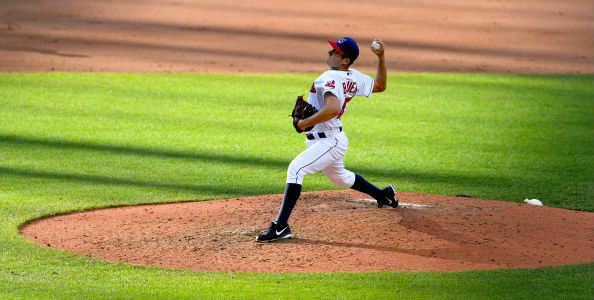 A move to the desert certainly seems to have aided him this Spring as he’s given up just two earned runs over 17.1 innings with an impressive 15/2 K/BB rate. Weaver could bounce-back as an almost forgotten man in fantasy. Garrett Hampson leads the National League in stolen bases. I still think he will end up as the everyday second baseman for the Rockies by the end of April and his ability to make contact coupled with his speed should see Hampson reach base plenty of times. Hampson leads the Spring stats in stolen bases with seven so the Rockies clearly want him to be a threat on base. Kiki Hernandez hits 25 homers and is a top-10 fantasy second baseman. Hernandez appears to be the Dodgers’ starting second baseman and in 145 games last year (with 402 at-bats), he still hit 21 homers. He had a fairly impressive 50/78 BB/K rate and should hit .250+ on the season, offering up value for a player with multiple position eligibility. Joey Lucchesi is the Padres’ no.1 starting pitcher and ends the year a top-25 fantasy starting pitcher. Whilst Chris Paddack and Matt Strahm are getting all the attention (deservedly so) and Eric Lauer will pitch on opening day, Lucchesi is arguably the best arm in San Diego’s rotation. His strikeout rate means he could get 200 Ks over a full season so with the new improved offense and more wins likely, Lucchesi could be the pitching light which shines brightest for the Padres. No Giants player hits 20 homers, steals 20 bases or finishes inside the top-200 fantasy hitters. 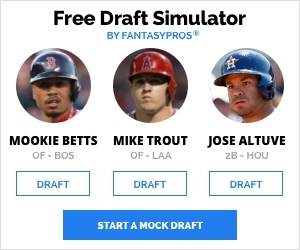 They have no one who can be considered a real base stealing threat and Evan Longoria and Brandon Belt are the only two projected to at least get near 20 homers. Belt has never managed that feat and Longoria’s first season on the West Coast wasn’t particularly awe inspiring. Right now, the Giants’ rotation is about the only thing that can stop them losing 100 games.